Impulse shoppers, welcome to a brand-new way to feed your fix. In the span of a few weeks last month, Facebook, Pinterest and Instagram unveiled nifty new buttons that let users buy the must-have clothes, crafts and gadgets streaming by in their feeds. Google has its own button in the works, while Twitter has been quietly testing a “buy” button since last September. The age of social media shopping — a.k.a. social commerce — is upon us. Well, almost. While it seems to make sense to combine the experiences of socializing with friends and shopping — as the inventors of the mall discovered ages ago — it’s easier said than done online. A bewitching combination of technical and psychological obstacles means that two decades after Amazon began revolutionizing e-commerce, social commerce is still waiting to get off the ground. Is this the moment when users finally embrace Facebook, Twitter and rising networks like Instagram, Pinterest and Snapchat for their retail needs? That depends. When it comes to deciding what to buy, ads may sway our judgement, but input from people we trust often seals the deal. This holds just as true when bargain-shopping with BFFs at bricks-and-mortar stores as when hunting for deals on the Internet. Four out of five people say that posts from friends directly influence buying decisions. “Social proof,” as marketers call it, keeps the retail wheels greased and moving. So what better place to buy online than social media sites where friends and followers are already hanging out and sharing information? “Here, the inspiration for a particular look isn’t sparked by some vacant-eyed model, but by friends and frenemies alike,” notes industry analyst Jake Sorofman in a recent blog post on the subject. When it comes to deciding what to buy, ads may sway our judgement, but input from people we trust often seals the deal. At the same time, the fleeting nature of the news feed — streaming by with the trends of the moment — lends a sense of urgency to the social retail experience. Exclusive offers and flash promotions add to pressure on social media “to act quickly or miss out on the deal at hand,” writes retail columnist Brad Tuttle in Time, and users tend to forgo the obsessive comparison shopping that characterizes other online purchases. Plus, when done right, social shopping doesn’t even have to feel like shopping at all. You don’t have to stop what you’re doing and go to a special site or fill up a virtual shopping cart and head to checkout — all tasks that turn the fleeting joy of buying into a chore and sink many a prospective purchase. “Why usher consumers to the checkout line — and risk the abandonment of conviction, much less shopping carts — when you can get the deal done in that treasured moment of irrational awe?” writes Sorofman. That vision of a seamless social media shopping experience is still a far cry from the reality, however. Until now, “shopping” on social media has generally meant being redirected away from the app or platform to checkout at a traditional retailer or e-commerce site. Especially on mobile devices, this represents a step backward in terms of convenience. Apart from the inconvenience, this is also bad business: By sending users away from their own sites, networks lose valuable eyeballs to other services. Payment has presented a similar challenge. Amazon revolutionized e-commerce in the late 1990s with One-Click shopping — storing payment and shipping information so users didn’t have to go through a burdensome checkout process each time. The problem is that, up until now, social networks haven’t generally asked for those details or kept them on file. “More often than not payment credentials aren’t tied to social networks and consumers don’t associate them with payments period,” notes mobile commerce executive Jon Squire in the industry publication Pymnts. So the idea of effortless, one-tap checkout on social networks has remained largely fantasy. These technical challenges are minor, however, compared with the logistical ones. For social networks to be effective as commerce sites, they have to integrate with the inventory systems of retailers. This means actively tracking purchases and stock at the thousands of merchants big and small that would be selling on their platform — a daunting bookkeeping task even for data-savvy social networks. Complicating things further is the fact that retailers don’t have one standardized system for monitoring inventory, meaning that social networks would have to work with a jumble of different, often ad-hoc programs. Even more important is the fact that — for all of their user data — social networks haven’t been able to offer up much in the way of “intelligent shopping.” Dedicated e-commerce platforms like Amazon are effectively able to read users’ minds, using advanced algorithms to suggest products based on past visits, other users’ purchases and many other factors. By contrast, most “social platforms today provide a ‘siloed’ experience,” writes marketing executive Gary Lombardo in Pymnts, with little awareness of consumers’ larger shopping habits, transaction history, or even the full range of offerings from a particular brand. Finally, the biggest barrier to social commerce may be the most obvious: Users flock to social networks to, well, be social — not necessarily to shop. While browsing products is increasingly a part of the social media experience, users are generally in what’s called the “discovery and awareness” phase of the sales process … a long way from taking out their credit cards. Even on Pinterest, where people are typically further along in the so-called sales funnel, not everyone is keen on buying, and in-your-face “buy now” buttons may rub users the wrong way. “Push them too aggressively and in contexts that don’t make sense and the Pinterest faithful may revolt,” warns Re/code reporter Jason Del Rey. So far, this gauntlet of obstacles has frustrated even social media’s biggest player. In 2012, Facebook launched Gifts — an online shop inside the network for buying and sending small gifts to friends — with grand visions of challenging Amazon for e-commerce supremacy. When warehousing and shipping physical gifts proved problematic, the network turned to gift cards a year later. But even with its treasure trove of user data, Facebook couldn’t get people to buy, and the project was killed in 2014. It turned out users just weren’t ready to shop on social media. But networks aren’t ready to give up on social commerce just yet. Improved technology to keep users “in-app,” advances in payment processing and changing consumer attitudes have led to the recent flurry of new options. 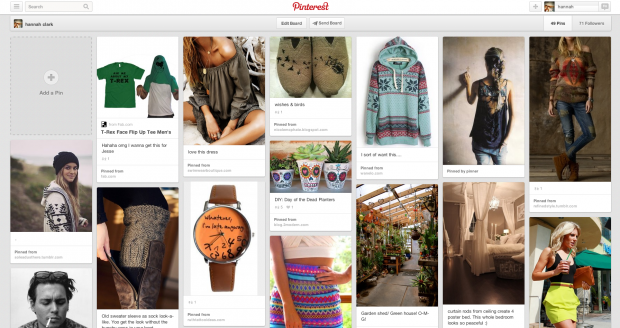 Pinterest’s new Buyable Pins, unveiled in June, are at the vanguard of recent offerings. Users who click the new blue “Buy it” button next to select images are shown not just prices but different color and style options. They can then select to pay via Apple Pay or with a credit card, enter shipping information and make the purchase — all without being redirected to a different site. Initial partners for Buyable Pins include department store giants Macy’s and Nordstrom, plus thousands of smaller retailers, with millions of products available. Meanwhile, Facebook is poised to take social buying to an even larger audience. 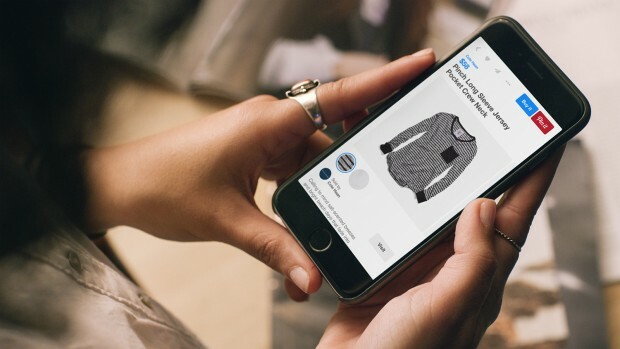 After months of beta-testing a buy button of its own on posts from select merchants, the network opened up the program to retailers in June, using the popular Shopify commerce platform, hinting at a possible future rollout to an even wider business audience. Users can can now complete their purchases in-line, without ever leaving Facebook’s “walled garden.” The network’s unparalleled access to user data — and uncanny ability to target posts — means it would have a huge head start in the social commerce race. Plus, with services like Facebook Messenger payments (the network’s new peer-to-peer money-sending service), many users already have payment and address details on file, streamlining the checkout process. As for the critical question of how all this actually brings in money for the networks, details are still being worked out. Instagram has also upped its social commerce game, with a “Shop Now” button on ads that opens a mini-browser within the app. Whether millennials will welcome this intrusion into their photo feeds remains to be seen, but — considering that the network has access to parent company Facebook’s demographic data — it’s safe to say shopping may one day become a fixture of the Instagram experience. 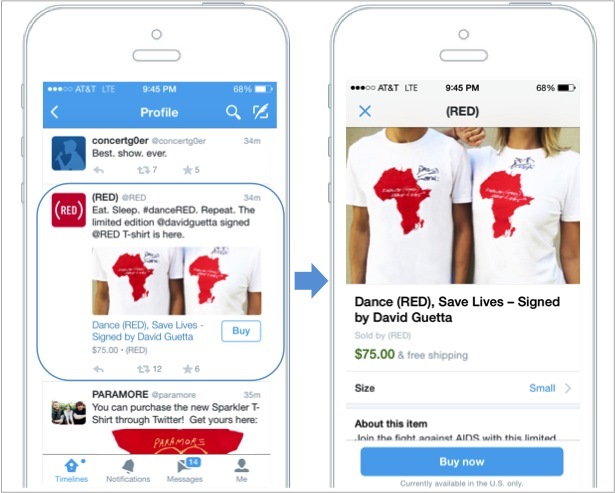 Twitter, meanwhile, began testing the social-shopping waters nearly a year ago with its own buy button, an initiative spearheaded by former Ticketmaster CEO Nathan Hubbard. Initially rolled out with a small group of brands, artists and charities, the effort was recently expanded to include event tickets. Shoppers can also expect to begin seeing Google’s new buy buttons on mobile search ads this summer. As for the critical question of how all this actually brings in money for the networks, details are still being worked out. Pinterest isn’t charging retailers for using new Buyable Pins, as of yet. But merchants that want to reach the largest audience — not just their existing following — will need to pay to use the network’s special ads, known as Promoted Pins. The other social platforms have largely embraced a similar strategy. If the social commerce craze catches on, of course, networks could also take a small cut of each transaction — the tried-and-true approach behind Apple’s iTunes Store and related services.